Mechanical Sales Inc. | Service Is Our Trademark! Mechanical Sales, Inc. is an Independent Manufacturers Representative. We serve our market by providing HVAC applications expertise to system design professionals, generating custom equipment selections, delivering superior installation contractor support, providing professional factory authorized system start-up and warranty support, in addition to facilities operations training, HVAC system maintenance education and HVAC systems preventative maintenance support. Mechanical Sales, Inc. has been in business since 1967. We are an Independent Manufacturers’ Representative for Commercial and Industrial - Heating, Ventilating, and Air-Conditioning (HVAC) systems. Mechanical Sales is proud to represent the worlds finest HVAC system manufacturers with Daikin, Nortek, BAC, Systecon, ABB and Stulz being the largest. We take pride in our long term relationships with our manufacturers. 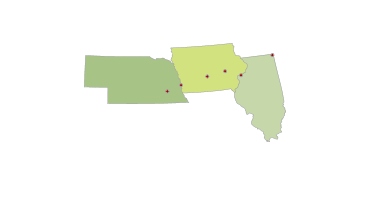 We have represented McQuay/Daikin in Nebraska and Western Iowa since 1968.